While there are numerous treatment methods to remove head lice, not all are equal. Store bought options are typically loaded with chemicals and don’t always work. You need something non-toxic and all-natural to kill head lice once and for all. At Lice Lifters, we provide Cleburne lice treatment to families in need! 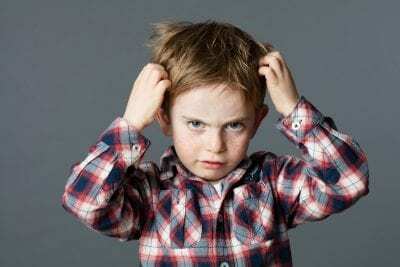 Parents often panic when they learn their children have head lice. Most head right to the drugstore for over-the-counter products. These products are loaded with pesticides, though. Over the years, head lice have developed resistance to specific insecticides. Even after harsh products, the lice remain. At Lice Lifters, we utilize safe and effective methods to remove head lice once and for all! Over 90 percent of head lice infestations occur from head-to-head contact. Lice do not jump or fly. Children are susceptible to infestations due to their close proximity to each other. They spread easily when clothing is shared, too. At Lice Lifters, we use a two-pronged solution to treat head lice fast. First, we administer a non-toxic, all-natural killing agent to destroy adult lice on the scalp. A follow-up treatment is typically required a week later to remove any newly-hatched nits. Then, we use an intensive comb-out to remove what we can, including the dead lice bodies. Getting Rid of Lice is Permanent or Temporary? Parents often worry their efforts are for naught. To ensure Cleburne lice treatment solutions are permanent, it’s crucial to follow our guidelines and administer treatment promptly. Do not wait around and hope for the best. Only treatment works! To schedule Cleburne lice treatment, contact Lice Lifters by calling 972-805-1308 today. We’re proud to serve the community and offer healthy lice treatment solutions!